Our Heavenly Father is fully holy, majestically omnipotent, loving, full of grace and forever faithful. We have been humbled by His blessings upon us and in awe have followed Him as He has brought us to new premises and direct Embathisa Mission Outreach. 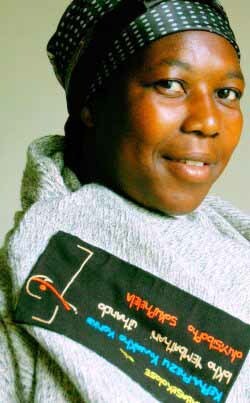 ‘Embathisa’ means ‘to share your blanket’ in the Zulu language. We share our hope in an embroidered Bible verse on the blanket, the prayer of a believer and the mysterious workings of the Holy Spirit towards salvation of the lost. We share our peace in planting a garden beneath wild fig trees of Embathisa, a space of quiet that honors the beauty of Our Father’s creation. We share our faith in encouraging hearts that grew still in the peace of the garden, to spend time in spiritual union with Our Father in the prayer room. We share our praise and worship in offering a space in the main building that welcomes all believers to join together, to focus on the things of our Heavenly Father. We share our food in planting a food garden.